After having a great setback from Galaxy Note 7, Samsung was in a great deal of pressure to figure out what happened and how to prevent this kind of disaster from happing in the future. At that time Samsung was also trying to meet the increasing demands of its customers and bring a new game to its competitors. Now Samsung Galaxy S8 and S8 plus are the best android smart phone available in the market. It’s a beautiful blend of powerful hardware and top notch software provided by the android industry. The beautiful infinity display and no bezel from any side makes this phone extraordinary remarkable. Read on to learn how to unlock Samsung Galaxy S8 or S8 Plus easily. But a problem arises when it is purchased from a service provider to save some money. 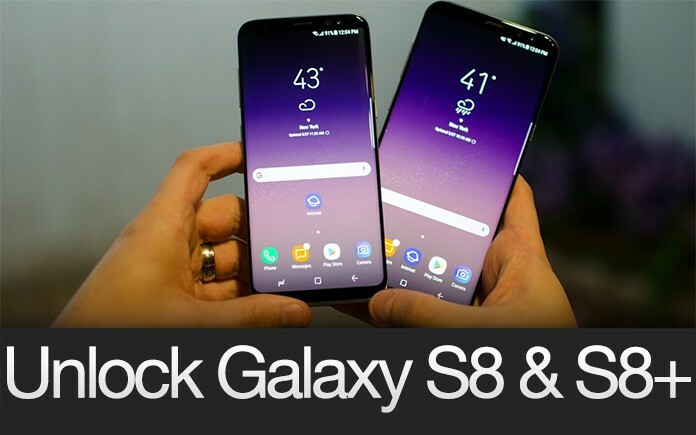 Now you have a high end smart phone you need but you get stuck with your service provider and can’t switch between networks of your choice and need, now you have to SIM unlock your Galaxy S8 or S8 Plus device. 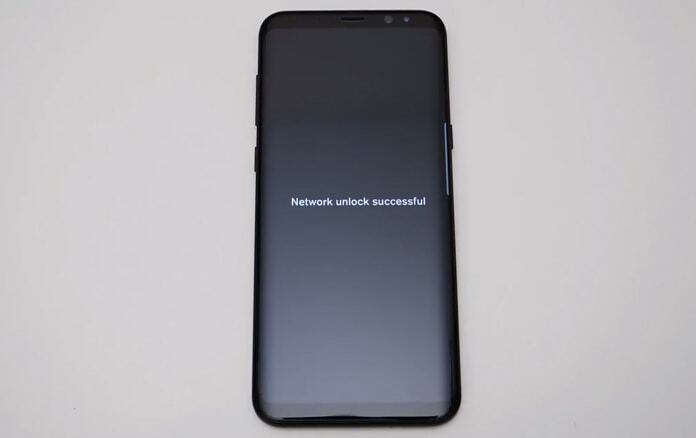 In order to SIM unlock Samsung Galaxy S8 and S8 plus there is a basic step to follow first, locate phone’s unique IMEI number. IMEI stands for International Mobile Equipment Identifier. IMEI number is of 15 digits long code. Open the phone application of your phone. 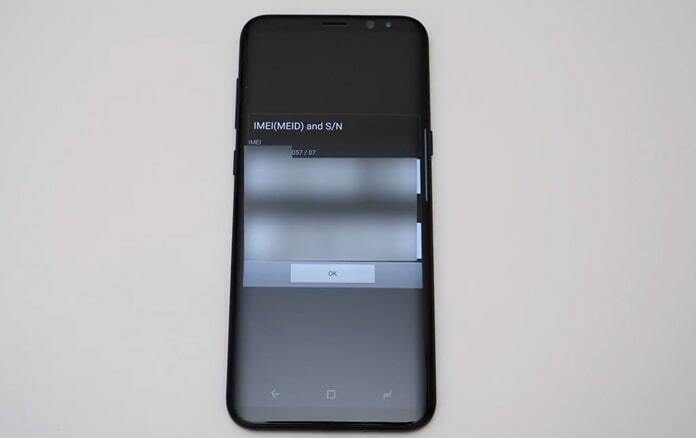 Phone’s IMEI will be shown on the screen. Save the IMEI number for later use. Ask the service provider for the code to unlock. 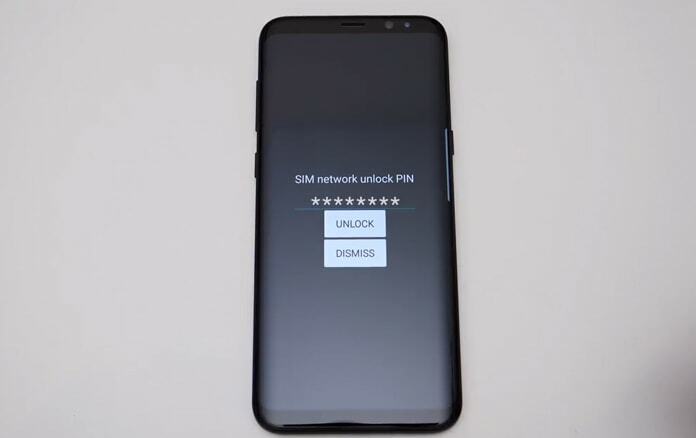 Use third party Samsung Galaxy S8 unlocking service. This is the best and free way to Sim unlock the device if the service provider gave you the code which seems to be difficult in current scenario because the phone is new and they have quite a few stipulations which must be met. Bills should be clear on time. Account should be older than 60-90 days. The phone should not be on the payment plan. Step 1: Call your carrier customer service number from your device. They will ask you for the IMEI number which you saved earlier to ensure that code match with your device hardware. Than you request for the unlock code. Step 2: Normally you’re requested unlock code will be send to you within 5 working days. When you have your code it will be a matter of time that you can switch to other service providers. Step 3: To unlock the phone, turn off your phone, remove your previous SIM card and replace it with one from another carrier. Step 4: Start your phone, it will ask for the unlock code. Once you entered the code your phone will be free to use other carriers. 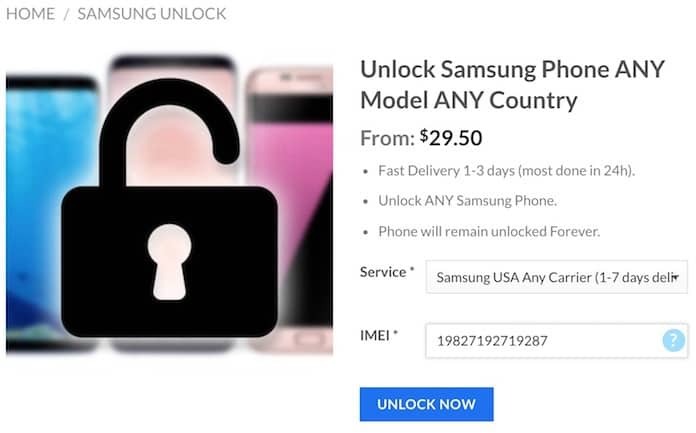 If your service provider refuse to give you the SIM unlock code, you can buy it from third party unlocking service. This is a paid procedure and faster than the previous method. They can deliver codes in a few hours and also offer refunds if code doesn’t work. Step 1: Go the Samsung unlocking service website and select your Samsung galaxy S8 or S8 plus. Step 2: Enter your phone’s IMEI number that you located earlier. Step 3: Select your payment plan and complete the procedure. Step 4: You will get you’re unlock code in less than an hour. Step 5: Remove your SIM card and replace it with different service provider. Step 6: Type the SIM unlock code to unlock your Samsung Galaxy S8, S8 Edge or S8+. Easily you can switch between different network providers in your country. While travelling abroad, you could use a local SIM card. The resell value of your phone will increases because now it is available to other carriers also. Your phone will be permanently remain unlocked, even after firmware updates. So what are you waiting for? Get to unlocking your device today!